Kenneth Zamora was born and raised in Los Angeles, California. His parents are immigrants from Mexico and Costa Rica. 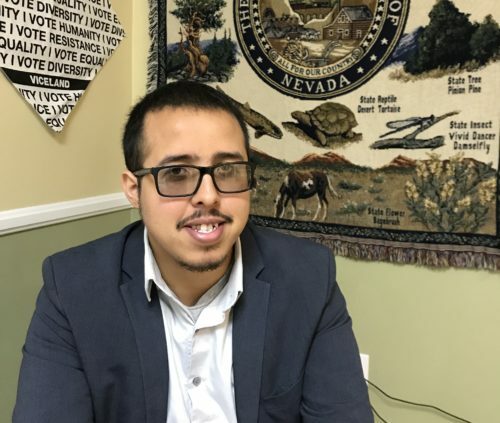 He moved to Las Vegas at the age of 17 where he was introduced to Mi Familia Vota and ultimately became a volunteer. During that time, he fell in love with the work of helping our Latino community grow. In his free time he enjoys playing football, lacrosse and listening to a variety of music from old school rap to Rock en Español. Ask him about it!